As a new parent, there is one question you are guaranteed to be asked, whether your baby is 1 day old or 1 year old. “Oh so he sleeps through the night then?” Erm, no actually. Apparently you only have a good baby if he sleeps through the night. Now, I’m not moaning, or complaining about these questions. The way I see it, people are just interested. I’m glad that they are showing an interest in my baby. And before I was a mum, I asked every one these questions as well. I thought it was a normal question to ask. I thought babies were supposed to sleep through the night. To be honest, I still ask the question now, but more as a way of supporting a new mum who might be stressed that her baby isn’t sleeping, rather than in a judgemental kind of way. As with everything baby related – until you are a parent, you do not truly know what a baby is meant to do. You don’t know what is normal, or average, or expected. You do not know whether your baby is going to follow the rules or not. 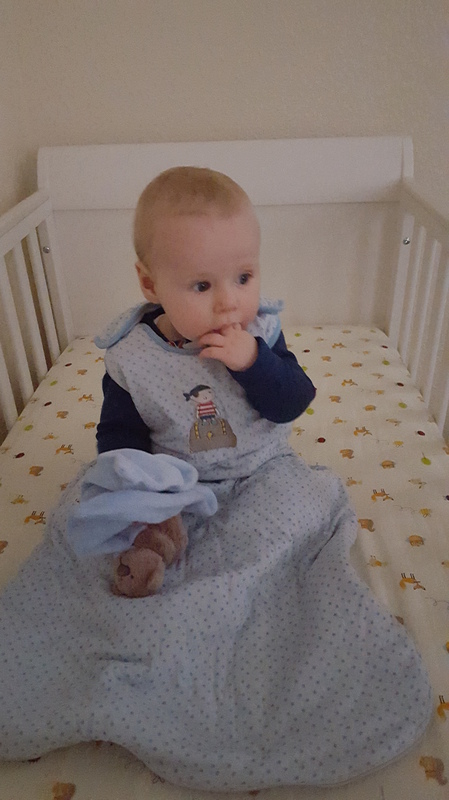 All ready for bed – Alfie can’t sleep unless he has his fingers in his mouth and his teddy in his arms. And he has to be all tucked up in his Grobag of course! There is no normal. There are no rules for a baby to follow. EVERY baby is different. My baby is different to my sister’s baby. Her baby is different to her friend’s baby. Her baby is different to her cousin’s baby. Her two babies are different to each other. No-one can prepare you for what to expect from your baby. They won’t follow anything you expect them to, and I think it’s about time society realised that, and stopped asking these questions. Especially the sleep question. I found that asking if your baby sleeps through the night is the one question out of any question you can ask that is going to put pressure on a new mum (except maybe the “how are you feeding your baby” question, but let’s not get into that debate, shall we?!) After doing some research, I have discovered that is it not biologically “normal” for babies to sleep through the night. It is a survival instinct to wake up frequently, for food to stay alive, and because they don’t have the skills to “self-soothe”, so need their parent’s help to get back to sleep. I just want to point out, this isn’t a post to judge anyone on how their baby sleeps. 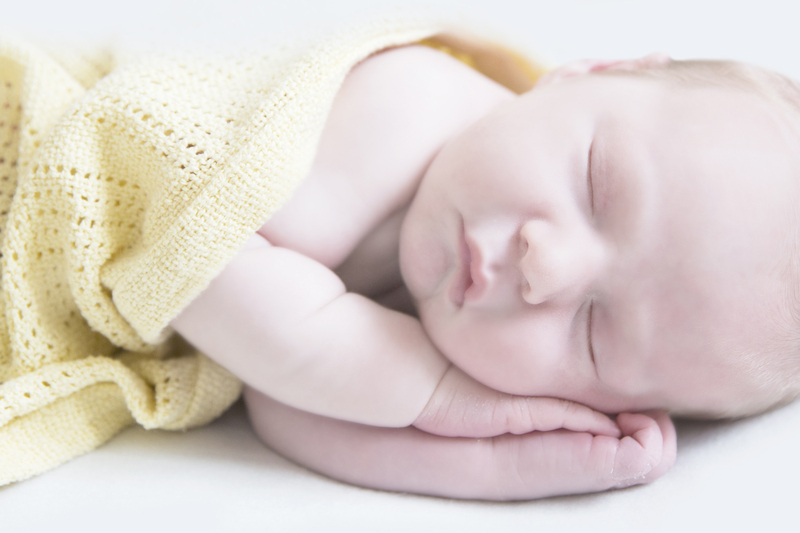 Some babies do sleep through the night, and that’s great for those parents (and I’m totally not jealous of the 10 hours uninterrupted sleep you get 😉 ). 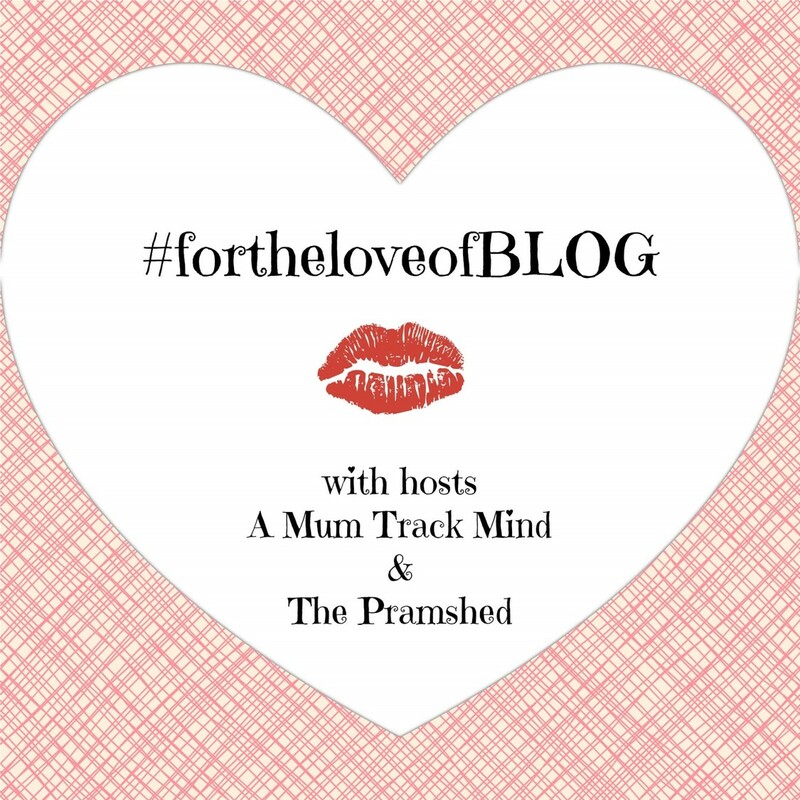 This is a post to reassure those mums who’s babies DON’T sleep through, that whilst hard, it isn’t abnormal, you don’t have to sleep train your child, and you don’t have to feel like you’re doing something wrong if your child doesn’t sleep through. As an adult, how many of us actually sleep through the night? Or do you get up to have a drink of water, or go to the toilet, or have something to eat because you have a sudden attack of midnight munchies (no? Is that just me then?!). To show just how different every child is, I conducted a little experiment on my own child to show the completely random sleeping pattern he has (NB no children were harmed in the process of this experiment). Alfie was 9 months old when I did this experiment, breastfed and on solids (3 meals a day). He isn’t currently crawling or walking, but rolls and bum shuffles to get around the room. He is sleeping in his own cot in his own room (and has been since 8 weeks old). Note – the day consists of wake up one the first day to wake up on the following day, so in affect “Monday” is actually Monday through to Tuesday morning. Notes: Today was a busy day – we were out in the morning visiting our friends, then we spent the afternoon playing at home with a walk in the pram to the shops. Alfie had 3 short naps throughout the day (less than 30 minutes each time). His bedtime routine followed the same pattern – dinner, bath, playtime, story, feed, bed. Notes: Today we had more of a chilled day. Spent the morning cleaning and tidying the house, then we went to visit my sister in her shop. I did the weekly shop and then in the afternoon we went for a long walk in the pram. Alfie had 3 naps today (ranging from 45 mins to 75 mins). His dinner was slightly later than normal today. Notes: Today we did some more cleaning in the morning and then spent the afternoon playing in the park. We went for a walk with Daddy after bath time (Alfie napped in the pram). Alfie had 3 naps today (ranging from 30 minutes to 60 minutes). 23.15 – Wake for a feed (7 minutes). Awake for 45 minutes. 05.44 – Wake for a feed. Asleep but unsettled, crying in sleep. Feeding on and off. 23.50 – Wakes for a poo explosion! Notes: Alfie wasn’t very well today so we stayed at home for cuddles and calpol all day. He was sick a few times and also teething. Fed more than usual during the day and night. Alfie had 5 naps today (ranging from 15 minutes to 70 minutes). 22.30 – Wakes but won’t feed. Awake for 2 and a half hours. Notes: Alfie was poorly again today. We took him out for a walk for some fresh air which perked him up a bit. He was still off his food and milk, only snacking. Alfie had four naps today ranging from 30 minutes to 45 minutes. 19.55 – Put to bed but wakes at 20.30. 22.00 – Put to bed again but wakes at 22.30. Very unsettled, snotty, crying, refusing to feed and refusing to sleep. 12.00 – Put to bed again asleep. Wakes at 6.15 on Monday morning. Notes: Alfie seems a little better today. We chilled at home and then did a little bit of shopping. In the afternoon we went to a first birthday party at a soft play. Alfie was great, had fun and seemed fine until we got home. He was very unsettled during the night, due to not feeling very well. Alfie had three short naps (ranging from 20 to 30 minutes), mostly in the car. From looking at Alfie’s sleep pattern, you can see there is no pattern. He goes to bed at different times, he wakes up in the night at different times and he naps at different times. He tends to have a loose routine of two long naps and one short nap a day, and two or three wake ups in the night. But as you can see, when he is ill or teething, any routine we have goes out the window! Sometimes he’ll go down at night really easily, and sometimes I can be in his room for 2 or more hours trying to settle him. You can see his night feeds are very short – I’m out of bed for 10 minutes max most nights, so although I am still getting up, I’m back in bed before I know it which is why I don’t think I’m too bothered by the night feeds. 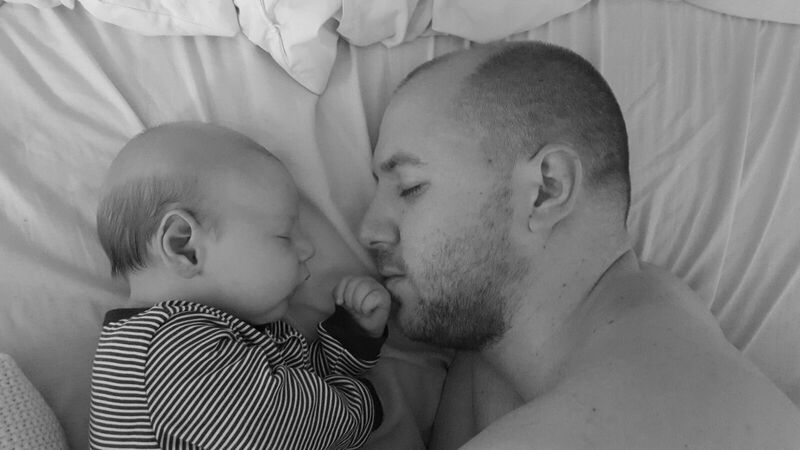 Back in the day when Alfie slept like his dad – soundly and all through the night! Obviously, his routine now is a lot different to his routine a few months ago. 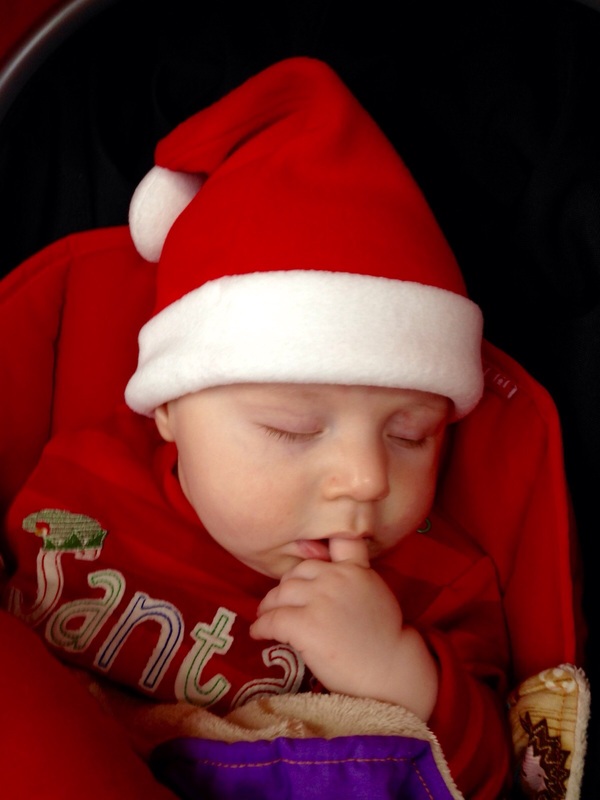 Alfie was technically sleeping through from about 3 weeks old to 16 weeks – then the 4 month sleep regression hit and he’s been waking ever since. Many sleep “experts” would probably tell me that he’s waking out of habit, and I should stop feeding him and just try and settle him and then eventually he’ll learn to stop crying. But to be honest, I don’t want that. 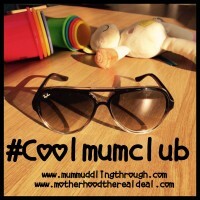 I don’t want my baby to “learn” that his mum won’t give him a cuddle if he cries. Alfie doesn’t ever cry for no reason – I know the difference between him crying because he wants something and him having a bit of a moan. I don’t jump out of bed for every murmur and whimper (unless he’s ill). I can tell the difference between him needing me, and him having a natter in his sleep. I’ve tried not feeding him and just giving him a cuddle or soothing him but it didn’t work – it took me 2 hours to put him back to bed rather than 10 minutes. To me, that means he still needs the feed. A lot of people will probably say he’s just comfort sucking and not drinking, but I can tell from the milk that dribbles out of his mouth when he falls asleep at the breast that he’s definitely drinking!! The purpose of this post is not to tell you how to deal with your child – as every child is different and every parent copes in different ways. 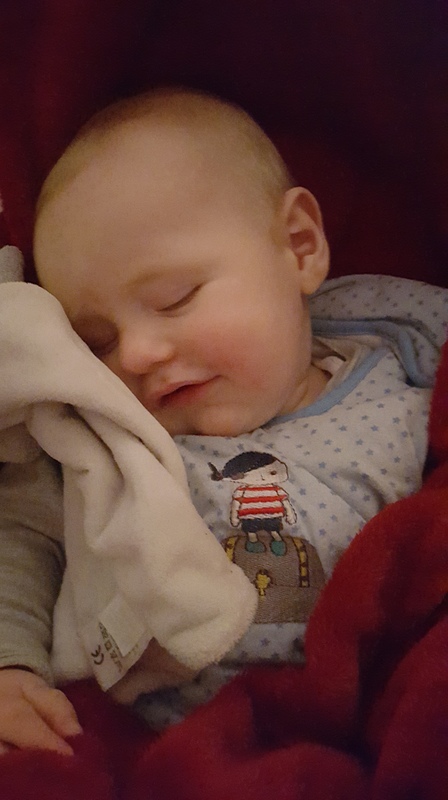 I just want to show you that having a baby that doesn’t sleep through is not strange, and to show that if you want to feed them to sleep, or pick them up as soon as they cry, or give them a cuddle in the middle of the night then do it! It is up to you how you parent your child. To make this a fair experiment, I also looked in to the sleep habits of other babies, to show that Alfie’s sleep patterns aren’t a one off and that every baby really is different. I will be posting those results in a separate post in a few days, so come back and have a read! You’re right about the ‘good’ baby thing! Reassurance is so important for new parents especially – when the baby learns how to play the system, (i.e. crying =a cuddle!) then you need to know it’s ok to leave them, or not if that’s what you choose to do as a parent. I love this post Abi. we used to get asked all the time how Ailsa slept- well she slept like a baby, up through the night for feeds, cuddles etc. She is still in our bed now at 14months and although we would like to get her into her own bed we just know it will be a difficult transition. I got asked if my first was a ‘good baby’ a lot when she was born! Again I wasn’t really sure how to answer! Looking forward to reading the results!